It's not always good to be #1. San Joseans are spending an average of $216 a month on gas, which is a higher average than anywhere else in the nation. 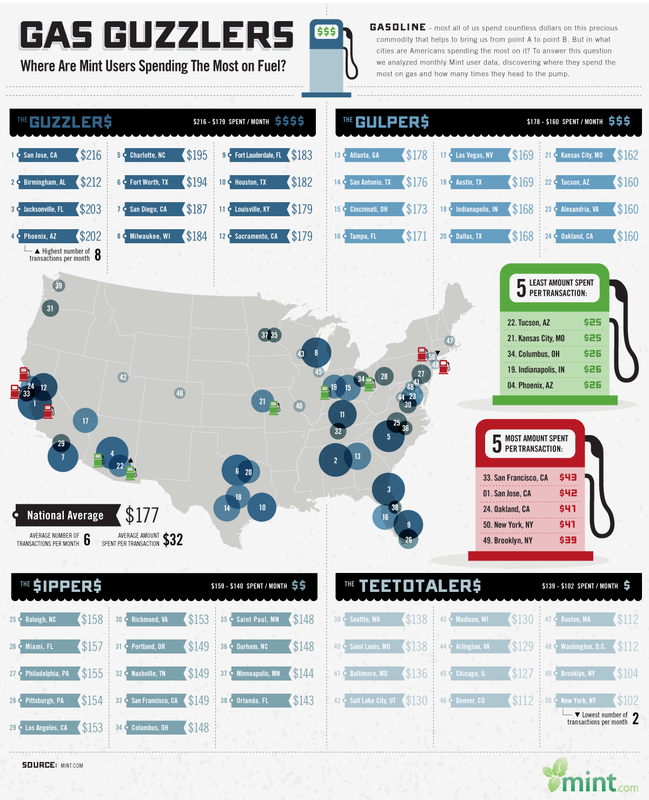 However, gas prices are higher here than in just about all of the other cities in the top 12, so this doesn't necessarily mean that we consume the most gas per person. Still, it's not a great statistic and hopefully one that will fall as more electric vehicles are adopted and our transit system is further developed.